Baltimore, MD (February 14, 2018) -- Clinicians for Progressive Care is proud to announce its endorsement of Dr. Nilesh Kalyanaraman, MD, for Delegate in the Maryland Assembly, representing District 43 (North Baltimore). Dr. Nilesh has dedicated his professional life as a physician to treating the underserved, and will continue to advocate in Annapolis for all his constituents, especially the disadvantaged and vulnerable. DONATE to Dr. Nilesh. Dr. Nilesh went to medical school at SUNY Brooklyn School of Medicine and trained in Internal Medicine at Emory University in Atlanta. He went on to care for imprisoned and homeless patients in Baltimore. Dr. Nilesh is chief health officer at a community health center in Baltimore where he has strengthened programs to help those with pain and substance use problems. When Maryland expanded Medicaid coverage as part of the Affordable Care Act, he saw the positive impact on the lives of his patients. Medicaid gave ordinary people access to necessary health care that was previously unaffordable. Dr. Nilesh will work to expand coverage to all Marylanders, eliminate the 20 year gap in life expectancies across Baltimore neighborhoods, and reduce costs of prescription medicines. 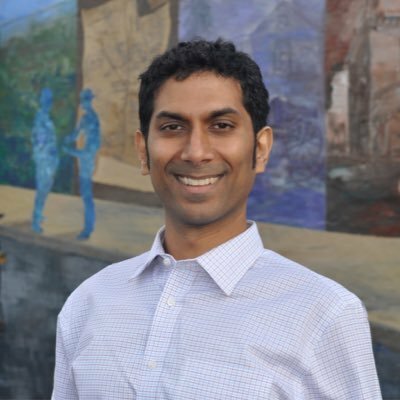 In addition to health care reform, Dr. Nilesh seeks to ensure affordable housing by reforming rent court, expanding eviction prevention services and reinvesting in poor communities. He wants to strengthen public schools and job training programs that will help families adapt to the changing economy. He recognizes the segregation and racism that are a part of African Americans’ daily life. Dr. Nilesh will be a force for good in the Maryland Assembly, and C4PC is excited to support him. Clinicians for Progressive Care (C4PC) believes we can't fight for healthcare without electing candidates who believe in it. Previous endorsements in state and Congressional races can be found here. About C4PC: Clinicians for Progressive Care supports candidates, issues, and advocacy which promote equitable, compassionate, evidence-based, and progressive healthcare for every group and individual. Baltimore, MD; February 7, 2018 - Clinicians for Progressive Care enthusiastically endorses Dr. Nadia Hashimi, MD for Congress in Maryland’s 6th District. As a practicing pediatrician, Dr. Hashmini understands the social and environmental influences that shape children’s growth and works every day to improve them. Now she wants to take these insights to Washington for the benefit of all Marylanders. Donate to Dr. Hashimi here. 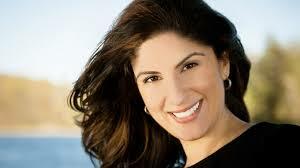 Dr. Hashmini grew up in New York and attended Brandeis University. She went to medical school at SUNY Downstate in New York CIty, training as a pediatrician at NYU/Bellevue. She currently practices in Gaithersburg, Maryland. In addition to her work as a physician, she is a best-selling author of historical fiction, a mother of four, a researcher, and a first-generation American. She is expert in listening, learning, and finding solutions on the basis of empathy, and will use these skills to help fix our broken politics. Dr. Hashimi wants to expand the fundamental right to health care through expanding Medicare, and address exorbitant medication costs through price controls and lifetime payment caps. To address racial inequality, she will target funds to school districts with high populations of black students that have been systemically overlooked. She will expand the resources available to individuals with substance use disorder and also remove incentives for physicians to over-prescribe narcotics. Dr. Hashimi will also fight for women in the workplace, including equal pay for equal work, reproductive health care and family planning. Dr. Hashimi wants America to be respected, not resented abroad, and for us to care for the underprivileged at home. We can be a caring and prosperous Maryland and America with her training and vision. C4PC looks forward to helping Dr. Hashimi win the primary and represent MD-6 in Congress. Clinicians for Progressive Care (C4PC) believes we can't fight for healthcare without electing candidates who believe in it. Previous endorsements in both Congressional and state-level races can be found here. About C4PC: Clinicians for Progressive Care supports candidates, issues, and advocacy which promote equitable, compassionate, evidence-based, and progressive healthcare for every group and individual. C4PC can be supported here. Baltimore, MD; January 25, 2018 - C4PC is thrilled to endorse Dr. Kathie Allen, Democrat, for Utah State Senate District 8. Dr. Allen, a compassionate fighter, has spent her career serving patients in Utah and understands the challenges facing poor and middle class families. She is determined to transform our healthcare system to help ordinary Utahns. DONATE to Dr. Allen. Dr. Allen went to medical school at Loma Linda University and trained in Family Medicine at the University of Utah. In her own private practice, and at the Utah Transit Authority where she now cares for transit workers and their families, she has helped all kinds of people. Throughout her career, Dr. Allen has been a leader among physicians with the Utah Medical Association and Salt Lake County Medical Society. Dr. Allen supports universal health insurance through Medicare while recognizing that regulations must be streamlined. She will prioritize making prescription medicines more affordable by empowering the federal government to negotiate prices and easing the path of generics to market. Dr. Allen draws on her personal experience of her father’s struggle with opioid addiction to advocate for greater access to treatment. 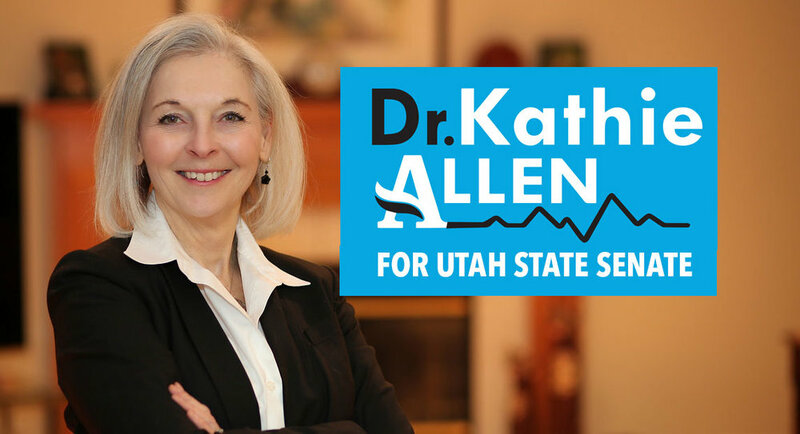 On every issue that matters to Utah, public lands, health care, the economy, schools, and jobs, Dr. Allen has workable compassionate solutions. Utahns believe in practical progressivism, and Dr. Allen will fight for them in the State Senate. Please welcome our Operations Director! We are very pleased to welcome our Operations Director, Monica Tung, BS, to the C4PC team. Check out the Who We Are page to learn more about her. Monica is identifying potential candidates for endorsement, refining our policy questionnaire, and responding to candidate queries. C4PC is lucky to have her talents. Baltimore, MD; January 17, 2018 - Clinicians for Progressive Care endorses Dr. Rob Davidson, MD, for Congress in Michigan’s 2nd District. Dr. Davidson is an Emergency Medicine physician and school board member, not a career politician. His experience improving the lives of his patients has led him to a broader calling: the fight for health, prosperity, and equality for constituents in West Michigan. DONATE TO ROB DAVIDSON. It is obvious that Rob is the perfect opponent to take on the avid Trump supporter and Republican incumbent Bill Huizenga. Huizenga has voted with Trump 97% of the time, spending his time in Washington, DC, attacking immigrants and the poor, voting to destroy insurance and give away Michiganers' hard-earned money in tax cuts for the very rich. Dr. Davidson is a native son of Michigan. He graduated from Kalamazoo College and went on to medical school at Michigan State University. He left Michigan to complete residency in Emergency Medicine in Portland, Maine before returning to Ottawa County, where he lives with his wife and three children. We at C4PC are impressed by Dr. Davidson’s commitment to investing in and partnering with underserved communities to reduce racial disparities. As an active member of his school board, Dr. Davidson understands the necessity of quality public education for all children, regardless of where they live, and increasing access to college and continuing education programs. Dr. Davidson understands the cost of failing to provide broad-based, equitable, effective access to mental health and substance use treatment. In his emergency room he has seen first-hand, and helped to treat, the devastation visited on individuals and families by gun violence and is determined to reform the status quo. As a healer, reformer, policy expert, and concerned citizen, Dr. Davidson is the right choice for West Michigan in Congress. Baltimore, MD; January 10, 2018 - Clinicians for Progressive Care proudly endorses Dr. Beth Liston, MD, PhD, for the Ohio House of Representatives in District 21. Dr. Liston is a physician, scientist and educator committed to supporting her community with pragmatic, compassionate solutions. DONATE TO BETH LISTON. Beth Liston grew up in the district that she hopes to represent. The Dublin Village AMC movie theater where she got her first job is where her family now goes for movie night. The restaurant she and her husband went to for their first date is where she and her sisters threw their parents a surprise 60th birthday party. Dr. Liston completed a combined MD-PhD program at Ohio State University, with her Internal Medicine and Pediatrics training at Yale. Returning to Ohio, she joined the faculty at OSU where she treats patients and teaches medical students and residents. She is a nationally renowned expert on how teamwork among health professionals can help patients. Dr. Liston’s policy experience includes work in the Columbus Medical Association and the Ohio Department of Medicaid. Her plan to address health disparities, the opioid epidemic and the rising costs of medications and insurance is based on her expert understanding of these complex problems. She wants to make sure pharmaceutical companies can’t mislead patients through tricky advertising. She is determined to help create affordable insurance options for all. For her, combatting systematic racism means tackling education, housing and health care. Dr. Liston knows that besides health, social factors like good jobs and educational opportunity are critical to a community’s wellbeing. As a valued neighbor, friend, and professional in the District, and a nationally regarded clinician-educator, she is a true combination of expertise, practicality, and warmth. Dr. Tipirneni has the right combination of personal grit, intellectual power, and outsider vision that will bring common-sense kindness back to Washington for the people of the Grand Canyon State. 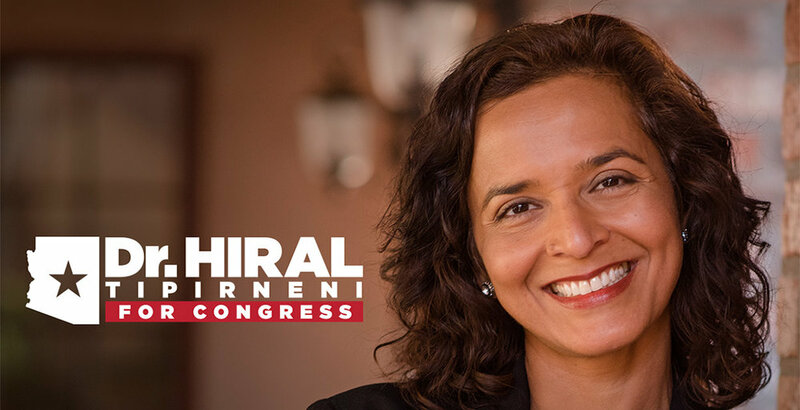 Baltimore, MD; January 2, 2018 - Clinicians for Progressive Care has the honor of endorsing Dr. Hiral Tipirneni for Congress in Arizona’s 8th District. Dr. Tipirneni is a physician, researcher, community leader, and activist, a woman of knowledge, accomplishment, and compassion. She has known first-hand what it means to be an immigrant, a striving blue-collar student, and a family member of ailing relatives. DONATE TO HIRAL TIPIRNENI. Dr. Tipirneni graduated from Northeast Ohio Medical University and completed her residency at the University of Michigan’s Emergency Medicine program. She moved to Phoenix with her husband where she has practiced emergency medicine for over 20 years while also leading a team of cancer researchers, serving on multiple local nonprofit boards, and raising her three children. Arizonans will benefit from Dr. Tipirneni’s progressive stance on health care including her commitment to universal care through Medicare expansion and reducing barriers to care faced by women, people of color and LGBT individuals. To contain the exorbitant costs of health care, Dr. Tipirneni supports price controls, competition and increased transparency. Dr. Tipirneni wants an Arizona (and an America) that works for all, with better public schools, a secure Social Security and Medicare, government accountability, and access to child care. In short, she is the right Arizonan to represent the 8th District. Family doctor, small-business owner, working mother. Good for Texas and the nation. A true progressive, not an opportunist. Baltimore, MD (December 15, 2017) -- Clinicians for Progressive Care announces its endorsement of Christine Eady Mann, DO, for Congress in Texas’ 31st District. Dr. Mann has been a family doctor in central Texas for nearly 20 years and understands what strengthening the Affordable Care Act, Medicare, and Medicaid -- on the way to universal coverage -- will do for Texans. As a physician, small-business owner, and working mother, Dr. Mann will restore common sense humanity to Congress. DONATE TO CHRISTINE MANN. Zackary Berger, MD, PhD, the Treasurer of C4PC, says, “Dr. Christine Mann possesses an exciting combination of health expertise, the knowledge of what’s needed to make the Texas economy grow, and first-hand experience with the challenges of raising (and healing) children in Trump’s America. Unlike others in the primary, she is a true progressive, the right candidate to defeat the Trumpist incumbent John Carter. Carter has voted with Trump 96% of the time, and has spent his 16 years in Congress attempting to limit women’s reproductive health care, blaming immigrants, and trying to repeal the Affordable Care Act. He’s even voted for the GOP's Tax bill – which will make it harder for working class families to get by while increasing the deficit by over a trillion dollars." Clinicians for Progressive Care (C4PC) believes we can't fight for healthcare without electing candidates who believe in it. Previous endorsements can be found at C4PC's webpage. Family physician, public health advocate, protestor, activist, experienced collaborator and team-builder. Baltimore, MD (December 11, 2017) -- Clinicians for Progressive Care announces its endorsement of Richard Bruno, MD, to represent the 41st District, Northwest Baltimore, as delegate in Maryland’s Assembly. 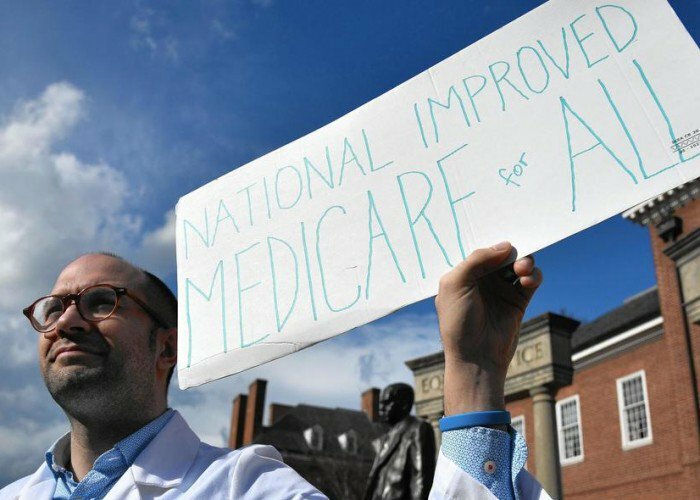 A family doctor and preventive medicine specialist, husband, father, and long-time advocate for social justice and universal healthcare, Dr. Bruno will bring a passionate, experienced, expert activism to Maryland state government. DONATE TO RICHARD BRUNO. Dr. Bruno is from Little Rock, Arkansas, and has attended some of the nation’s most prestigious institutions, including Princeton University and Oregon Health & Science University School of Medicine. He trained in Family & Preventive Medicine at MedStar Franklin Square and Johns Hopkins Bloomberg School of Public Health. Currently practicing medicine in Baltimore, he will bring what he’s learned from healing ordinary Marylanders to service in the Assembly. Clinicians for Progressive Care (C4PC) believes we can't fight for healthcare without electing candidates who believe in it. Previous endorsements include Dotty Nygard, RN, for Congress in CA-10, Danielle Mitchell, MD, in TN-3, Allison Galbraith in MD-01, Matt Heinz, MD, in AZ-2, John Duncan in TX-6, Jason Westin, MD, in TX-7, and Bob Solomon, MD, in PA-18. Danielle Mitchell, MD, is the right candidate to represent Tennessee's 3rd in Congress. Baltimore, MD (November 29, 2017) -- Clinicians for Progressive Care announces its endorsement of Dr. Danielle Mitchell for Congress in Tennessee’s 3rd District. DONATE TO DANIELLE MITCHELL. Danielle's platform is informed by her experiences both as a family physician and small business owner. She has made universal, affordable health insurance coverage a cornerstone of her campaign. Meanwhile, incumbent Chuck Fleischmann perseverates on repealing "Obamacare," despite the ACA's success in decreasing uninsurance among Tennesseans by nearly 30%. 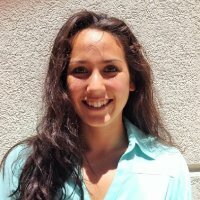 Danielle is passionate about combating the influence of corporate interests in both healthcare and government. Her policies on issues ranging from a livable wage to environmental protections reflect her readiness to place the needs of every-day Tennesseans above the private interests bankrolling Washington. Clinicians for Progressive Care is proud to stand with Dr. Danielle Mitchell, the right woman for the job in TN-3! Clinicians for Progressive Care (C4PC) believes we can't fight for healthcare without electing candidates who believe in it. Previous endorsements include Dotty Nygard, RN, for Congress in CA-10, Allison Galbraith in MD-01, Matt Heinz, MD, in AZ-2, John Duncan in TX-6, Jason Westin, MD, in TX-7, and Bob Solomon, MD, in PA-18. Baltimore, MD (November 22, 2017) -- Clinicians for Progressive Care announces its endorsement of Jason Westin, MD, for Congress in Texas’ 7th District. DONATE TO JASON WESTIN. Dr. Westin is a well known MD Anderson faculty member whose laboratory investigates cancer treatments based on the immune system. He has become an ever more prominent voice among healthcare professionals fighting for what’s right: affordable, compassionate, dignified treatment for all Americans. As Dr. Westin says, he is the right man for the right district. Culbertson’s colors are showing more and more clearly, marking him as an unsteady, unstable Washington insider. Let’s send Dr. Westin to clean up Congress with the white coat of truth. Clinicians for Progressive Care (C4PC) believes we can't fight for healthcare without electing candidates who believe in it. Previous endorsements include John W. Duncan for Congress in TX-6, Dotty Nygard, RN, in CA-10, Allison Galbraith in MD-01, Matt Heinz in AZ-2, and Bob Solomon in PA-18. Baltimore, MD (November 15, 2017) -- Clinicians for Progressive Care announces its endorsement of John W. Duncan for Congress in Texas’ 6th District. John knows first-hand how important access to high-quality, affordable healthcare is to millions of Americans. While working to provide healthcare to Texans living with HIV/AIDS John realized the urgency of concrete steps to ensure good health for everyone. DONATE TO JOHN W. DUNCAN. Besides his advocacy for universal care through single payer, John Duncan supports evidence-backed treatment for substance use disorders rather than the failed system of imprisonment. He believes in the rights of the disabled to live in the community instead of institutions, understands the role of white supremacy in health disparities, and knows that transgender care matters to all of us. We look forward to supporting John to flip TX-6. Clinicians for Progressive Care (C4PC) believes we can't fight for healthcare without electing candidates who believe in it. Previous endorsements include Dotty Nygard, RN, for Congress in CA-10, Allison Galbraith in MD-01, Matt Heinz in AZ-2, and Bob Solomon in PA-18. 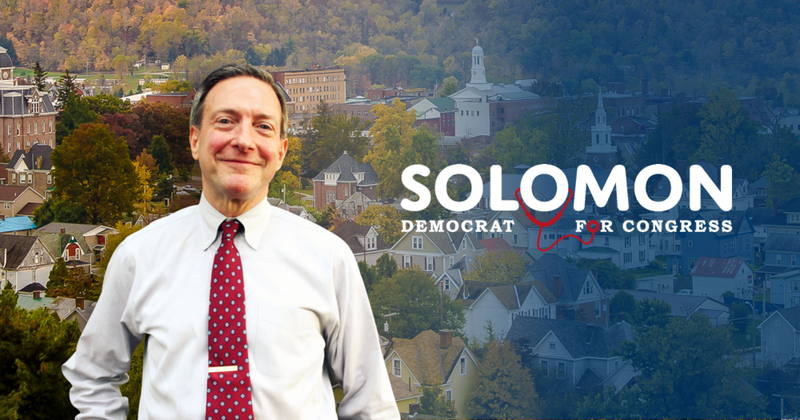 Baltimore, MD; October 18, 2017 -- Clinicians for Progressive Care is very pleased to announce its endorsement of Dr. Robert C. Solomon, MD, FACEP, for the 18th Congressional District in Pennsylvania. An emergency medicine physician, Bob is running for office to bring evidence-based compassion to Washington, DC. Zackary Berger, MD, PhD, treasurer of C4PC, says, "Bob Solomon is an expert emergency medicine doc who speaks his mind for the benefit of the sick and vulnerable. Supporting him means implementing the policies and values that we strive for as physicians, clinicians, and Americans." While Dr. Solomon presents a full range of his policy views on his website, C4PC is particularly taken by his robust vision for healthcare system change. Bob wants Medicare for All; an end to the "war on drugs" and the jail-industrial complex which is state aggression against black men; and real negotiation on the part of the Federal government for affordable pharmaceuticals. Bob will be a special guest of C4PC in Washington, DC (site of this year's American College of Emergency Physician's meeting) at Capitol City Brewing Company, on October 30th at 5pm. Please visit the event on Facebook for more details. Paid for by Clinicians for Progressive Care (www.cliniciansforprogressivecare.com) and not authorized by any candidate or candidate's committee. Baltimore, MD; Oct 16, 2017 - Clinicians for Progressive Care is excited to announce its endorsement of Matt Heinz, MD, for Congress in Arizona's 2nd District. Dr. Heinz has worked and lived in Tucson for years and understands the problems of southern Arizona first hand. He is the right candidate to fight for Arizonans in Congress, as an advocate for universal care, instead of Martha McSally's singleminded commitment to TrumpCare. DONATE TO MATT HEINZ. Apart from healthcare, Dr. Heinz is also committed to an economically and socially viable future for southern Arizona which includes people of all races, beliefs, and identities. Zackary Berger, MD, PhD, Treasurer of Clinicians for Progressive Care, says, "Matt is a smart, caring, and experienced physician lawmaker who knows southern Arizona. He represents the best of progressive healthcare and forward-thinking politics. Let's get him working for southern Arizona, and all Americans, by defeating Martha McSally and making universal health care happen." Clinicians for Progressive Care (C4PC) believes we can't fight for healthcare without electing candidates who believe in it. Previous endorsements include Dotty Nygard, RN, for Congress in CA-10, and Allison Galbraith in MD-01. This originally appeared in the Forward newspaper. It is by Zackary Berger, MD, PhD, C4PC's Treasurer. I stood, legs apart and face to the wall, in the Capitol Police Vehicle Maintenance Division. In other words, a garage. And I thought: I want to shake the hand of the person who invented plastic zip ties. They’re probably doing extremely well for themselves. But let’s start from the beginning. How did I get here, hands cuffed behind my back, and why did I still feel, all in all, pretty good? I’m a doctor who’s been in practice almost 10 years. During my training I wasn’t that involved in politics, and after 2009 even less involved. I was complacent after Obamacare passed. In the following years it became evident that more and more patients were able to seek me out and start seeing me as their new doctor because of the insurance available through the Affordable Care Act. Sure the legislation wasn’t perfect. Everything can always be improved. I even rolled my eyes and acted supercilious at those who wouldn’t shut up about single payer. Why rock the boat? Then Trump happened. During the run-up to the election I understood the abstract possibility that he could win. Though I’m certainly no prophet and I didn’t come near to predicting what eventually happened, I was really worried that a President Trump would wipe out the progress of the past few years: the millions more Americans with insurance; the decrease in the rise of healthcare costs, the improvements in population health. I was shocked in November, and after the inauguration it was as if I had woken up from a long nap. With mounting fear and panic I understood that the priorities of Trump and his Congress collaborators are different from mine, and those of my doctor and nurse colleagues — and certainly different than what my patients think is important. Many Republicans believe that government should not help the sick, because being ill is a moral failing. The sick need freedom to cure themselves. As a response, I founded a social media group called Doctors Against Trump which later, with the help of expert friends, I converted to a political action committee to support candidates who believe in progressive health policies. I started calling my Congressmen and Senators regularly, and I made use of various on-line tools that connect blue-state voters with red-state constituents, urging them in their turn to call their elected officials. This was something, but it didn’t feel like enough to me. I wanted to physically and concretely demonstrate support for my patients (sick, weak, old, marginalized), that I wasn’t sitting doing nothing while people were trying to take away their insurance. Once or twice I went and had a polite discussion with a senator’s health aide. That didn’t hit the spot either. I saw that two separate groups were collaborating in a Senate protest action: those from various faith traditions (priests and ministers, rabbis, ordinary Jews and Christians; probably others too), on the one hand, joined also by health professionals: doctors, nurses, dentists; together with patients ready to tell moving stories for an audience and media. I joined them on a sunny morning in Washington, DC, at a Lutheran church not far from the Capitol and Union Station. First we joined in prayer (as a Jew, I was happy that specific Christian expressions were deliberately avoided, and no one invoked Jesus’ name). I put on tefillin as a sign of serious piety in the public sphere defending the principle in the Biblical verse “you shall surely heal.” I was also thrilled to meet doctors and others who I had met before only on social media. After a press conference at which we forcefully articulated our belief, as religious people and doctors, that health is a human right, we started off in a long, stately procession, slow and steady, to the Capitol building, two by two. Good things come to those who wait, and protesting is no exception. They let the tourists up to the Senate galleries quite quickly, but apparently it was obvious to everyone that we were planning something different. Though we don’t yet know, while I write these words, if the terrible bill is truly dead, I am very happy with our work. We used our privilege as doctors and bearers of faith to march against the greed and cruelty of an unfeeling administration. As part of a group of activists I felt the collective frisson that many Jews have experienced in a minyan that davens with intention: the surety that all is not lost even when the hour is very dark. We are powerful precisely because we maintain, even under attack, our beliefs in healthcare and the needs of patients. So maybe that’s why, when I stood feet apart in the police garage, the zip ties didn’t bite as much as I thought they would. Don't set the car on fire! We're all sick of the health care debate. But those who are actually sick, trying not to get sick, or taking care of others who are sick don't have the luxury of absenting themselves from this debate. They (we) are looking on in horrified fascination as the GOP makes its plan known: dismantling Obamacare and leaving millions without insurance -- replacing it with stopgap subpar underfunded skimpycare. It's as if the check-engine light was blinking on your dashboard, and in response your mechanic doused the car with gasoline and set it on fire. Yes, life is full of complications. Things are hard. There's plenty to do besides this sort of advocacy. You have work to go to, kids to raise, doorknobs and toilets to fix. If you are involved in whatever else you have to do, no one should criticize. But if you can just take a moment to speak up, you'll feel good, and we'll all thank you. The ruinous GOP healthcare plan isn't dead yet - it's a zombie. All of us have to keep fighting. We are all disappointed about #GA06. But here are some points we are thinking about. 1. #AHCA is A LOT more important. Keep calling your Senators. These are millions of people depending on care. 2. #GA06 and #SC05 were special elections. The Democrats can compete everywhere. And with the margin that Ossoff overcame, we have a good chance in '18. 3. We love Zeynep Tufekci's point -- waves build through social media, but elections are won through infrastructure. Through get-out-the-vote efforts. Through money. Part of our work through C4PC is to encourage activism and advocacy, but ALSO to identify good candidates (Allison Galbraith! Dotty Nygard! Others!) and RAISE MONEY TO HELP THEM. Paid for by Clinicians for Progressive Care and not authorized by any candidate or candidate's committee. MDs Against Trump is a special project of C4PC.